ROGER WILLIAM FROST was born to William Thomas and Caroline Catherine (Christensen) Frost on October 11, 1934 in Omaha, Nebraska. He was baptized on April 21, 1935 at Kountee Memorial Lutheran Church in Omaha. When he was six years old, he moved with his parents to a farm near Ruthton, Minnesota where he was raised and received his education. When he was 16 years old, he was confirmed at the Methodist Church in Ruthton. He graduated from Ruthton High School in 1952. On March 9, 1953, he entered the National Guard for the State of Minnesota. He was united in marriage to Jane Taylor at Our Savior’s Lutheran Church in Flandreau on May 4, 1957. Following their marriage, they lived in Pipestone, Minnesota, and Roger was employed by Fecker Produce in Pipestone in addition to being active in the National Guard. He served as the 1st Sergeant of the Pipestone Unit for 25 years and was in the National Guard for a total of 41 years at his retirement on March 7, 1994. In 2015, Jane became a resident of the Good Samaritan Communities of Pipestone while Roger continued to live at home. Jane preceded him in death on October 4, 2018. Due to failing health, Roger moved to the Pipestone County Hospice House on Thursday, April 4, 2019. Roger died there peacefully on Monday, April 8, 2019 at the age of 84 years, five months, and 28 days. 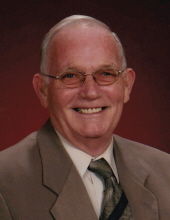 Roger was an active member of Christ the King Free Lutheran Church in Pipestone. He was also a member of the VFW. For ten years, he was a member of the Pipestone Volunteer Ambulance Crew and served as its first president. He liked to fish and he liked to do lawn work and painting. He loved to go dancing with his wife at the Hatfield Ballroom. Most of all, he loved his job as the unit administrator of the Pipestone National Guard Armory. He is lovingly remembered by his three children, Sheryl (Steven) Moffitt of Pipestone, Minnesota, Daryl (Teresa) Frost of Delano, Minnesota, and Wendy Woelber (fiancé, Tim Rustad) of Pipestone, Minnesota; 11 grandchildren, Rachel Kuiper, Daniel Moffitt, Meghan Moffitt, Amanda Frost Hagenmaier, Hannah Sevilla Frost, Sarah Frost Rotenberger, Nathan Frost, Tiffany Woelber, Tarryn Woelber, Trey Boelman, and Traeten Rustad; 11 great-grandchildren, Breylon Kuiper, Kade Moffitt, Jayse Kuiper, Rayah Kuiper, Henry Moffitt, Braden Talbott, Rylee Talbott Reid Hagenmaier, Dylan Hagenmaier, Louis Sevilla Frost and Milo Sevilla Frost; his sister, Renee Quist of Pipestone; and many other loving friends and family members. He is preceded in death by his beloved wife, Jane; his infant daughter, Debbie; his infant son, Danny; his parents; and his sister, June Johnson. To send flowers or a remembrance gift to the family of Roger William Frost, please visit our Tribute Store. "Email Address" would like to share the life celebration of Roger William Frost. Click on the "link" to go to share a favorite memory or leave a condolence message for the family.